Galvanizers Association has educated and informed professionals within the construction industry via the provision of RIBA CPD (Continuing Professional Development) Presentations that the Association has been providing for well over 25 years. 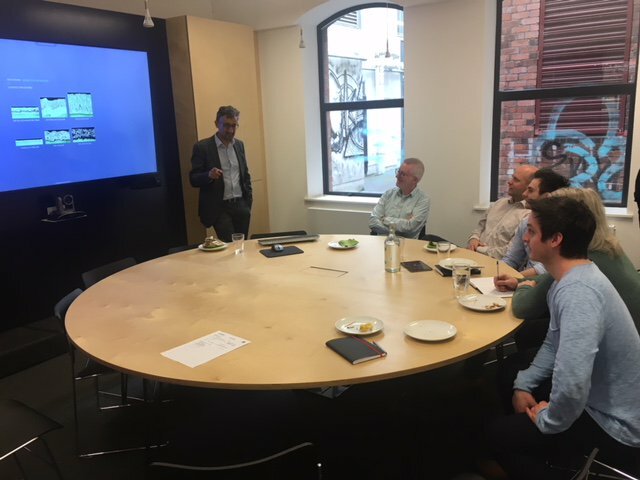 Galvanizers Association were founder members of the RIBA CPD Providers Network and work closely with RIBA for new generations within the industry. The CPDs offered in Ireland are also recognised by RIAI. Both CPDs can either be presented online or by an office visit. More, we reimburse you for lunch time refreshments. “The CPD was very informative and to the point(s)! Covered all areas well and answered most questions I had before I had a chance to ask!”. Click the button below and fill in the form. A member of our team will be in touch shortly to arrange a date that suits your requirements. Before booking the Sustainability CPD, we recommend you have the Corrosion Protection of Steel CPD, so that you develop a complete understanding of the hot dip galvanizing process. If an office visit is not possible, there is always the possibility of having an online CPD with us. “Galvanizers Association gave a well-presented and professional CPD that really brought the subject to life. It was engaging for all the right reasons”. “Very knowledgeable presenter. The presentation was just the right length to keep our interest”. “Iqbal Johal of Galvanizers Association gave a brilliant CPD on galvanizing. In his own silken-tongued way, he managed to make a prosaic technology shine”.